Amateur Radio Operators are a special and unique group of people. They are always willing to help others, and they have always assisted the public with their communications skills during times of disaster and emergency. They have not taken any oath or pledge to assist, but do so in the strongest sense of volunteering. 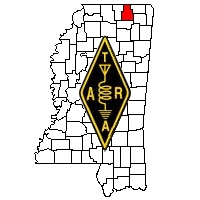 TARA is set up as an amateur radio association, or you might call it a club, and TARA does not require it's members to volunteer their services in emergencies. However, many members of TARA are involved in the emergency assistance side of the club. So whether your interests are just being in a radio club, or being able to assist in emergencies, you will find that TARA has a lot to offer. We hope you have enjoyed your visit to our website, and if you're interested in learning more about TARA, we invite you to join with us. The first step is to attend one of our meetings, or you may contact someone from the list below. The email addresses below are images to prevent Internet Robots from reading them and later spamming them. Please Copy the email address manually for your email to us.